Two years ago, California passed landmark statutes that sought to protect borrowers from wrongful foreclosures. But since then, big banks have successfully neutralized the law. 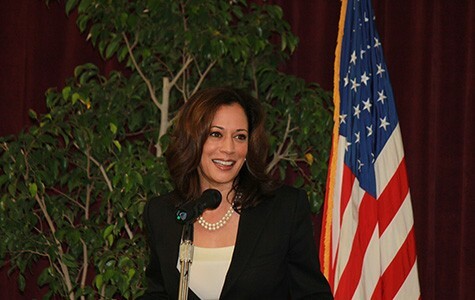 State Attorney General Kamala Harris led the effort to enact the California Homeowner Bill of Rights. 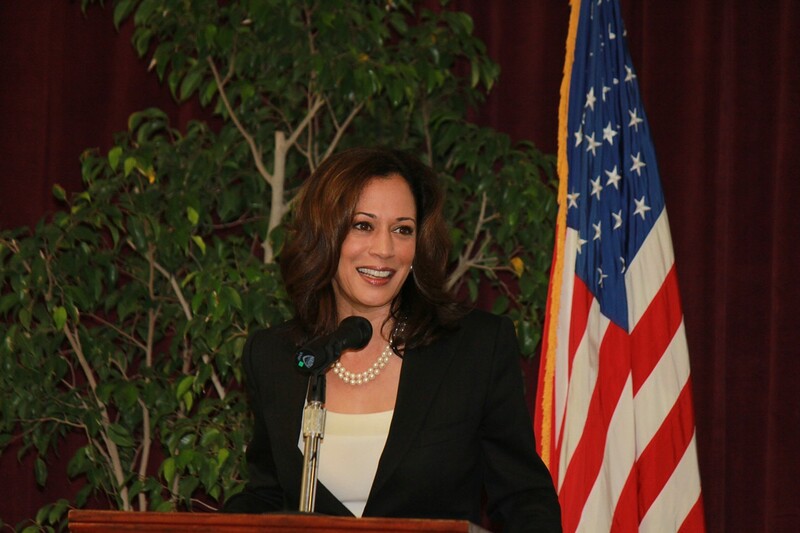 Two years ago, during the height of the foreclosure crisis, Attorney General Kamala Harris and the California legislature drafted and passed a series of laws collectively called the Homeowner Bill of Rights. These new laws banned the shady practices banks used to foreclose on people's homes, and provided borrowers with strong protections, including the ability to sue their mortgage servicer to prevent a wrongful foreclosure, and even to obtain damages. "Californians should not have to suffer the abusive tactics of those who would push foreclosure behind the back of an unsuspecting homeowner," said Governor Jerry Brown in 2012 when he signed the law. "These new rules make the foreclosure process more transparent so that loan servicers cannot promise one thing while doing the exact opposite." But since these laws went into effect on January 1, 2013, some of the largest banks in California have continued to break them, carrying on with the same wrongful foreclosure tactics that the Homeowner Bill of Rights was designed to stop. And when homeowners have taken their mortgage servicers to court to enforce the laws, the banks have often argued that the California Homeowner Bill of Rights simply doesn't apply to them. For the past two years, banks have won dozens of important cases, mainly in federal courts, by convincing judges to toss out wrongful foreclosure lawsuits filed by California homeowners. These losses have effectively made the California Homeowner Bill of Rights an unenforceable law, and have called into question the ability of the State of California to enact foreclosure regulations, and to protect Californians from bank misconduct. At the center of the banks' legal strategy has been the doctrine of preemption. Banks have argued that California has no right to enforce laws or regulations pertaining to foreclosure because there are federal laws that preempt anything that the state might do. Preemption is a constitutional doctrine that essentially states that when state laws conflict or interfere with federal laws, the federal laws are the only ones that apply. The banks argue that preemption serves important public purposes – by creating clear national laws and regulations that make it easier for banks to do business, and ultimately making it easier and cheaper for consumers to obtain mortgage loans. But many borrowers and their attorneys feel that this is a cynical legal ploy by the banks to thwart California's homeowner protections. "Banks clearly recognize the purpose of the Homeowner Bill of Rights, but they're going to try every which way to dismantle it," said Stephen Foondos, an attorney who has represented hundreds of homeowners in disputes with their mortgage servicers. Foondos' law firm in Sacramento is currently representing Jason Deschaine, a homeowner who alleges that Indymac Bank, now OneWest, wrongfully foreclosed on his home in 2013. Deschaine sued Indymac, claiming that the bank violated several of the Homeowner Bill of Rights statutes. But rather than hear arguments and consider the evidence, a federal district court dismissed Deschaine's lawsuit on the grounds that Indymac is a federal savings bank, regulated by the federal Home Owners Loan Act (HOLA), thereby preempting claims brought under California's Homeowner Bill of Rights. "In one fell swoop this court decided to say, 'Sorry, legislature; sorry, California Attorney General,'" said Foondos. Danny Barak, an attorney in Foondos' law office, is currently appealing the decision before the Ninth Circuit Court of Appeals in hopes of reversing the lower court's decision, and clarifying once and for all that federal savings banks like OneWest can't claim preemption over California's foreclosure protection laws. "I think that a Ninth Circuit ruling that the Homeowner Bill of Rights is not preempted by HOLA would end this problem once and for all," said a hopeful Barak. Attorneys representing OneWest Bank and representatives of the bank's public relations firm, Sard Verbinnen & Company, did not respond to requests for comment for this report. Recognizing the importance of a ruling in the Deschaine case, California Attorney General Harris submitted an amicus brief to the Ninth Circuit on August 8. "The district court erred in determining that certain of California's foreclosure laws, including provisions that were part of legislation known as the California Homeowner's Bill of Rights (HBOR), are preempted by federal lending law, namely, the Home Owners' Loan Act," wrote Attorney General Harris and Deputy Attorney General Amy Teng. Harris contends that California's laws pertaining to foreclosure, including the Homeowner Bill of Rights, are debt collection laws. And because debt collection isn't covered by any federal law, including HOLA, which only regulates mortgage lending and loan servicing, the Homeowners Bill of Rights cannot possibly be preempted. "Congress did not intend to interfere with California's foreclosure laws, because regulation of foreclosure is an area traditionally left to the states," Harris' brief explained. Another amicus brief was submitted in the Deschaine case by the California Homeowner Bill of Rights Collaborative, an alliance of four nonprofit legal advocacy groups. Authored by Kent Qian of the National Housing Law Project, Elizabeth Letcher of Housing and Economic Rights Advocates, and consumer attorney Eric Mercer, the brief warns that Indymac Bank is seeking "blanket immunity for all its careless conduct in servicing home mortgage loans." The authors note ominously that some courts have granted banks authority under state law to foreclose on homeowners, but at the same time have allowed these banks to dodge sections of state law that would protect the rights of borrowers. "Indymac cannot have it both ways," they write. "It cannot rely on California's non-judicial foreclosure statutes as authorization to sell the home, yet argue that the homeowner's claims under the same regime are preempted." Another bank that has aggressively employed the preemption strategy to toss out homeowner lawsuits is Wells Fargo, the largest mortgage loan servicer in California. "Wells Fargo has been very successful in getting Homeowner Bill of Rights lawsuits dismissed," said Qian, who has meticulously tracked homeowner lawsuits against mortgage servicers. "Wells Fargo points out that many of these loans were issued by World Savings, which was a savings association, and because of this, Wells Fargo argues that [its] conduct is covered by the more preemptive federal law, the Home Owners Loan Act, [which] applies to savings associations." Wells Fargo purchased thousands of California mortgage loans that were originated in the 1990s and 2000s by World Savings, the Oakland-based subprime lender. As a federal savings association, World Savings operated under regulations spelled out in the Home Owners Loan Act and was overseen by the federal Office of Thrift Supervision. Wells Fargo, on the other hand, is a national bank, and has always been regulated by the National Bank Act. The National Bank Act has been interpreted by many courts as having less preemptive power over state laws. Wells Fargo's legal theory, however, is that because these World Savings loans were originated by a HOLA-regulated institution, HOLA laws apply to the loans, even when Wells Fargo purchases them and acts as the servicer. "Basically, they're saying, 'We don't have to comply with the law,'" Qian said about Wells Fargo. "But I think the trend has really turned on this issue. Most decisions in the last year have held that Wells Fargo can't claim HOLA preemption for its own activities." Qian pointed to a court ruling in March of this year that appears to have turned the tide toward California homeowners. That ruling was in the case of Rijhwani versus Wells Fargo. Manoj and Lisa Rijhwani of Foster City obtained a home equity loan in 2007 from World Savings, which Wells Fargo then took over in 2009. In 2011, the Rijhwanis defaulted on the loan. After that, a confusing negotiations process began in which the Rijhwanis repeatedly attempted to reinstate the loan and obtain a modification from Wells Fargo. But the bank ultimately foreclosed, and sold their home in March 2013. The Rijhwanis sued, alleging that Wells Fargo dual-tracked them, failed to provide a single point of contact, and failed to provide a required written denial for a loan modification before proceeding with foreclosure — practices all banned under the California Homeowner Bill of Rights. But then Wells Fargo successfully moved the Rijhwanis' lawsuit from state court to federal district court in order to argue before a federal judge that the Homeowners Bill of Rights claims were preempted by HOLA and should not be considered. However, in a precedent-making shift, federal Judge Laurel Beeler sided with the Rijhwanis, noting that some other federal courts had "recently questioned the logic of allowing a successor party such as Wells Fargo to assert HOLA preemption." Beeler wrote in her decision "Wells Fargo, which is not a federal savings association or bank, may not assert HOLA preemption in this particular action." A similar ruling against the preemption argument in the Deschaine case against Indymac Bank will go a long way toward eliminating preemption as a legal tactic, say attorneys and legal experts watching the courts. So while it's been a rocky first two years for the Homeowner Bill of Rights, the law looks like it might finally be put into full effect, giving borrowers some leverage against the banks as the pipeline of bad mortgage debt continues to wreak havoc in California. Correction: The original version of this story misstated Danny Barak's professional affiliation. He is an attorney in the United Law Firm -- not a partner.